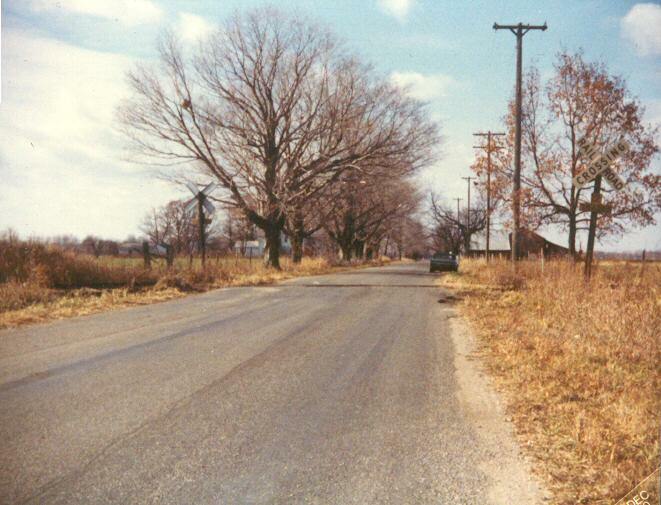 These photos were all taken in 1980 with one exception taken in 1978. 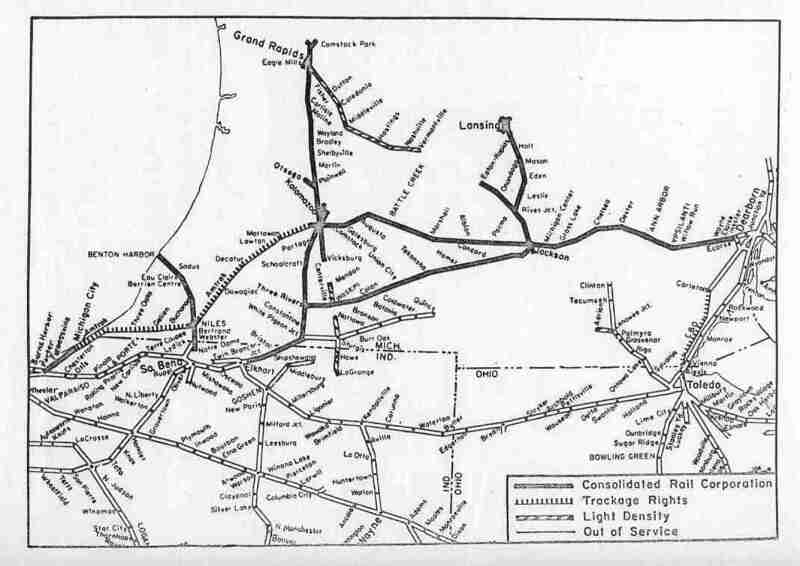 The Conrail Track Charts in 1978 (Map of the Michigan Division) still show the line through Mendon labeled as "PC Estate", i.e. 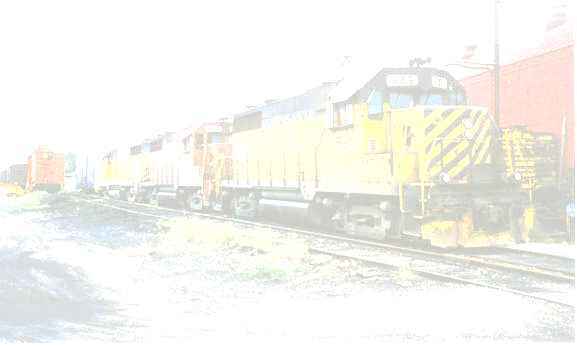 not part of Conrail. 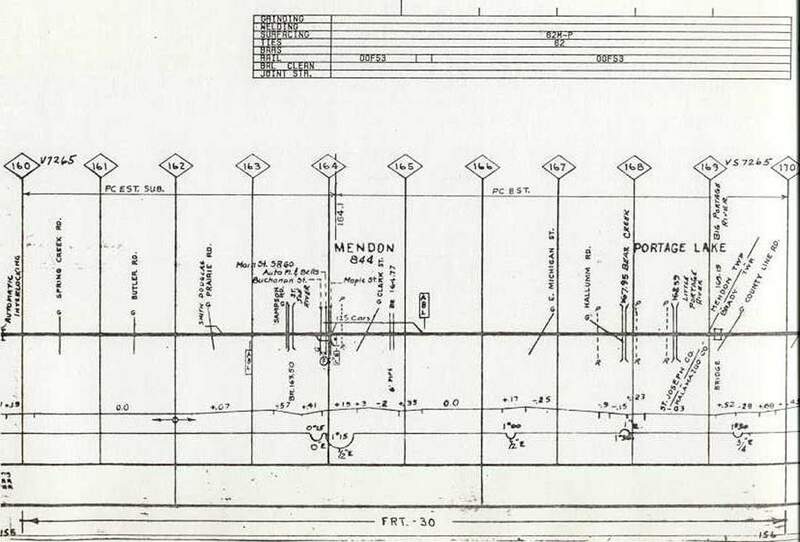 Click here to see the detailed 1978 track chart of Mendon. 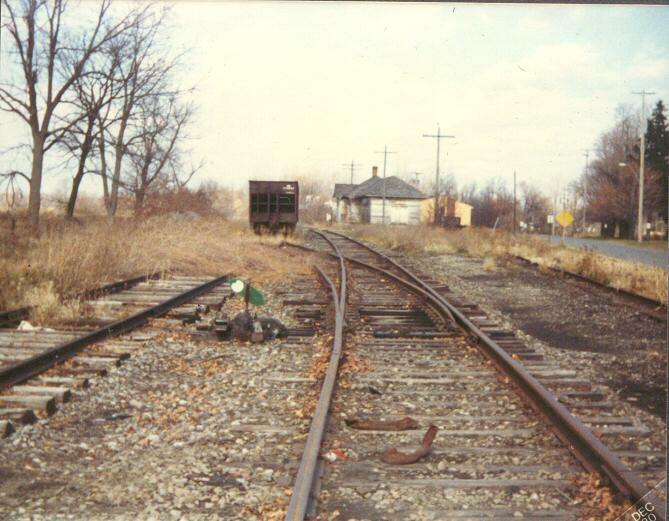 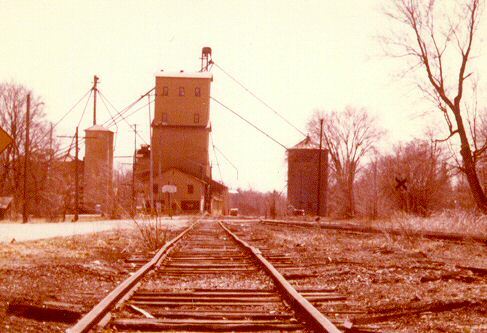 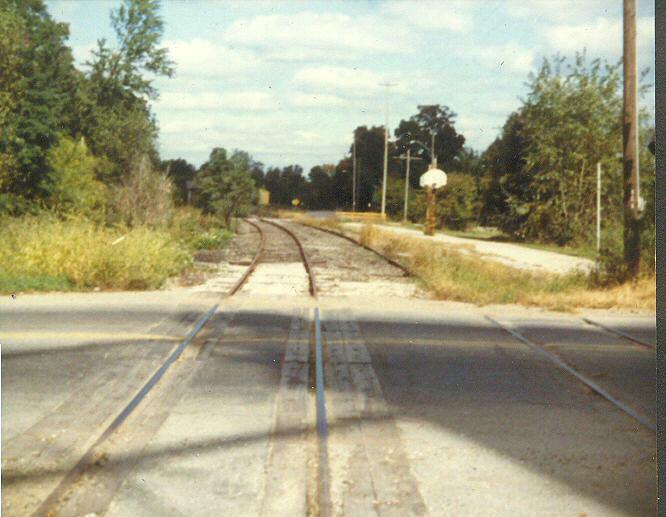 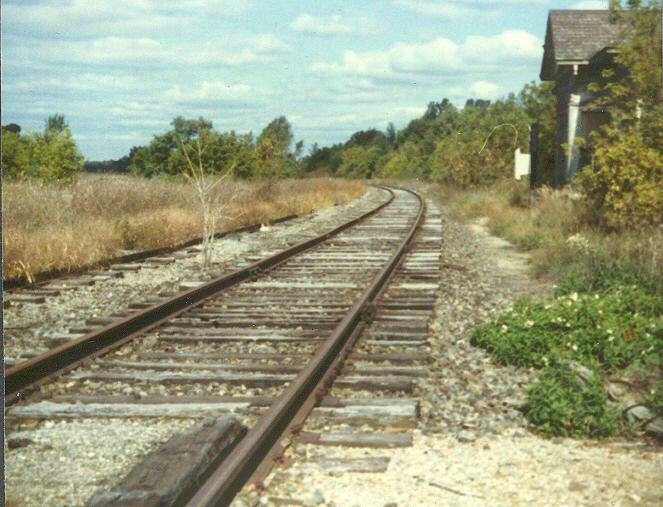 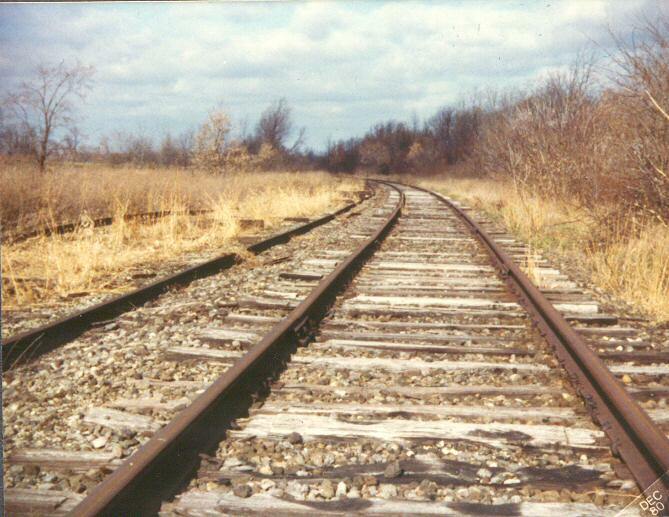 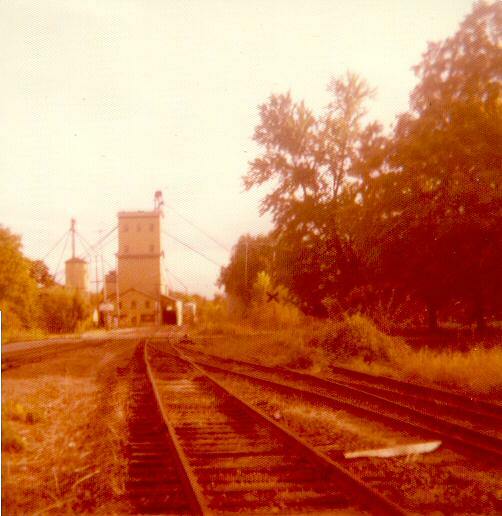 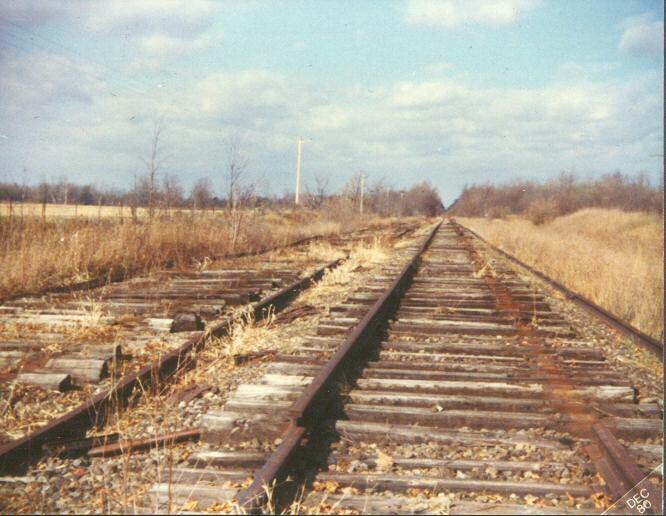 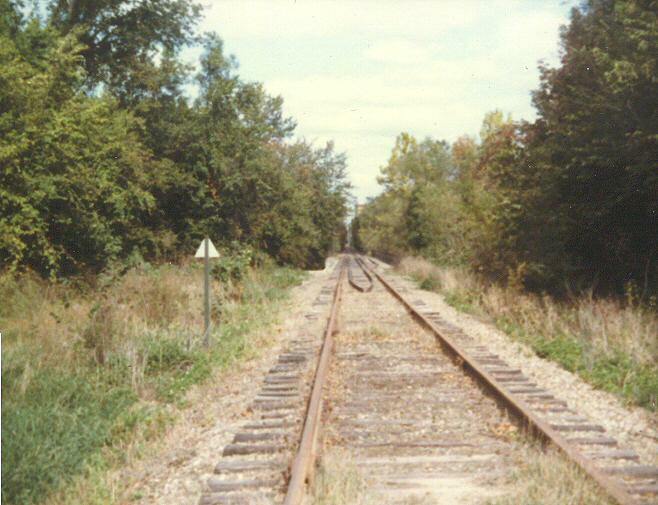 The first photo below is 1978, the rest are 1980 when the line north of town to Vicksburg was being torn up. 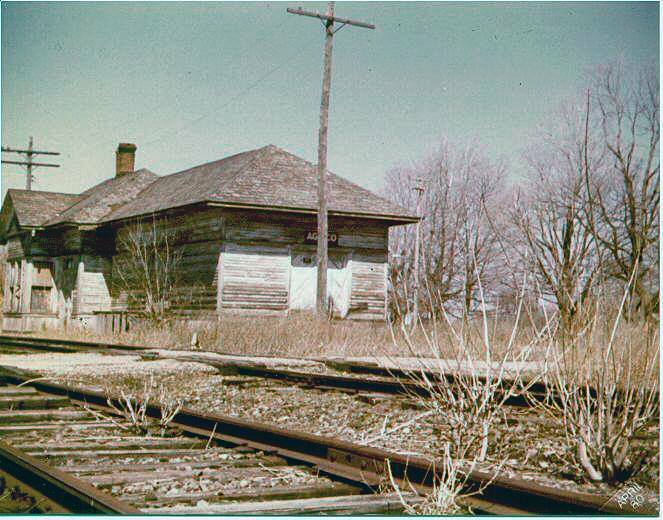 Just to give you a sense of history, here's how the depot looked many years ago, probably in the 1910's. 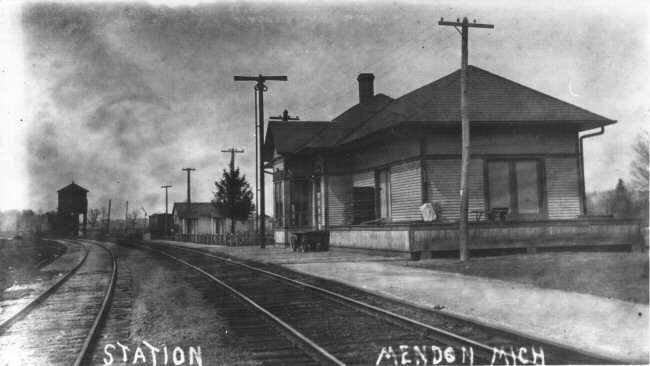 Click here for a high-res bitmap image of this photo.